Experience our student educational eco-tours at their best as you visit the High Barren Plains, Highland Rainforest, Paramo, Cloud Forest and Tropical Rainforest. We own four private nature reserves & lodges in eight different eco-systems, all within two hours of Quito. Our Field Trips offer practical education on ecology, botany, ornithology, conservation, archeology, conservation, shamanism & culture, as well as eco-adventures and service days. 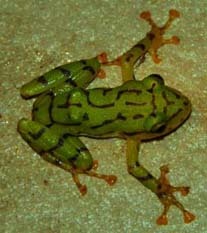 San Jorge’s English speaking naturalist guides take pride in providing field experiences of optimal quality. The Last Inca Emperor’s Trails provide a firsthand experience of pre-Inca and Incan history with its ancient trails for hiking and trekking and swimming in the waterfalls. San Jorge cultural programs work with local students, painting a village schoolhouse, working at an mud brick home factory to learn how houses are built in the Andes Highlands. Join in with our Conservation & Hummingbird Project at our Cloud Forest Sanctuary, or participate in a volunteer internship program at our scientific research station at our Tropical Rainforest Reserve. SAN JORGE ECO-LODGE & BOTANICAL RESERVE in Quito, Ecuador is located in the Pichincha Foothills is the only private reserve and eco-resort located near the capital city. Our 18 th century Ecuadorian eco-lodge with its own 200 acre botanical reserve will be your primary base for your visit. Our student group programs offer practical education on ecology, botany, ornithology, conservation, shamanism and culture as well as adventure and service days. We offer cultural programs, working will local students, painting a schoolhouse for example. You can even work at a local Ecuadorian mud brick factory to learn how houses are built in the highland mountains. Accommodations include student dormitories with shared baths, game room, lounge, museum.. Explore our vast gardens and exotic birds, within a comfortable Eco-lodge environment. NEW!! 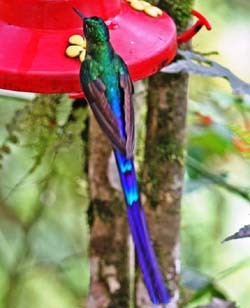 San Jorge de Tandayapa Eco-Lodge is located in the Cloud Forest at San Jorge de Tandayapa Hummingbird Sanctuary, recently opened in 2009. 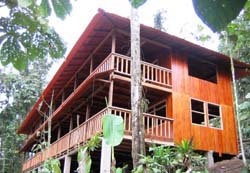 Accommodations include double, triple rooms with private bath/hot shower, where as many as 500 bird species live; pristine hiking trails, diversified flora and fauna, observation deck bungalow, open aired Hummingbird Restaurant with feeders and spectacular views, superb photography with a total peaceful and tranquil setting inside the Cloud Forest. 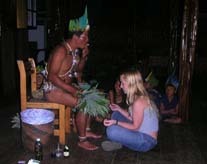 Shamanism Practices: Students will experience Shaman practices and a touch of authentic Indian culture. Relieve illness and stress with ancient Andean treatments prepared by a real Indian doctor. Herbs, tobacco, cologne and eggs are the main ingredients used for the treatment. Participate in a question and answer session. Two students will be selected from the group for a “cleansing”. 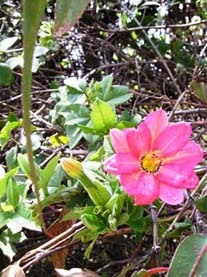 Botany at San Jorge’s Reserves: Trek on pristine trails inside our natural paradises. This area of Ecuador is considered a bird watching mecca. 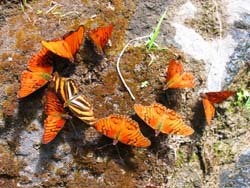 Guided nature expeditions, optional combined botanizing and birding, hiking/exploring/scientific studies in five different eco-systems; majestic waterfalls, wild surroundings, tropical plants/flowers/orchids/wildlife. Conservation & Hummingbird Project in the Cloud Forest at San Jorge de Tandayapa Hummingbird Reserve: A wonderful eco-day with hands-on projects of planting native trees/plants attractive to Hummingbirds; helping to maintain trails, including a guided hike through the network of trails in the Cloud Forest. Optional introduction to “Learning Bird Calls”. Picnic lunch at our bungalow viewing Hummingbirds at their feeders; relax in hammocks, enjoy the panoramic views, birds and other wildlife. Great photo options. Option #2: Experience a common work day in Ecuador today. Students will work at a traditional mud brick factory, owned by an Ecuadorian family who will teach them how to make mud bricks, that the local houses are built of. Bilingual explanations will be given throughout the process. Afterwards, enjoy a typical Ecuadorian lunch of beans, cheeses, sauces, potatoes and chichi prepared by the Family. The Last Incan Emperor's Trail at San Jorge Botanical Reserve: Experience the ancient wonder of the Andes Mountains, trekking, hiking, biking, or horseback riding along The Last Incan Emperor's Trails. Travel back through the ages as you enjoy the ecological miracle of the Ecuadorian countryside. Experience the ancient wonder of the Andes Mountains following in the footsteps of the ancient Incas along a pre-Inca road (1500BC). Old Colonial Quito City Tour & Middle of the World: We will explore the Capital of Ecuador, considered part of the Cultural Patrimony of Humanity by UNESCO. During your visit you will learn about the colonial art in the churches, history, archaeology and folklore in the museums. Your private guide will provide complete information on the baroque colonial art. Visit the most important areas: Plaza de la Independencia, Plaza San Francisco, Plaza Santo Domingo, La Merced, La Compania, Penecillo. Continue on to visit Mitad del Mundo (Middle of the World). While this imaginary line passes through many nations on Earth, the Republic of Ecuador is the only one that bears its name. 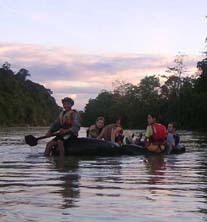 Our student educationl programs will take you through San Jorge Botanical Reserve (High Barren Plains and Highland Rain Forest), San Jorge de Tandayapa Hummingbird Sanctuary (Cloud Forest) and San Jorge de Milpe Orchid & Bird Reserve, (Tropical Rain Forest), known for its majestic waterfalls and swimming holes. Kept in their rich, natural state, all of our private nature reserves offer the chance to fully immerse yourself in all that is Ecuador; in a diverse array of flora, fauna. Cotopaxi Volcano Sightseeing & Historial Expedition (High Barren Plains) Cotopaxi National Park is Ecuador’s oldest protected area, harboring the world’s highest active volcano Cotopaxi, which stands 5,887 mts high. Drive through the Volcanoes Avenue crossing all the southern area of Pichincha Province (on a clear day, great views). 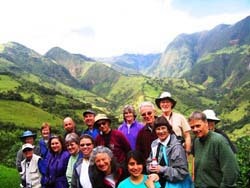 This tour will be a mix of volcanology, geography, anthropology, information on local animals/ farming/cattle and history of traditional living in Ecuador. Learn about the local plants, such as: Pinus, radiate, pinus radiate, pinus patula, cipres, polilepis or pantza. Take in distant views of Cotopaxi Volcano and learn about its surroundings; stop at local Indian food market. Mountain Biking Day Trip Nono - Tandayapa Route – Downhill Trip, 55 km. Rated: Easy. This is a famous birdwatchers secondary route. While descending from the beautiful virgin cloud forest, visit the Sierra, an enormous canyon, Tandayapa and Pichincha’s untouched foothills. 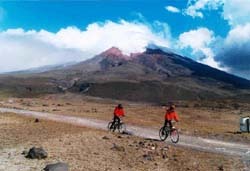 This is a fairly easy ride that offers incredible sightseeing from an altitude of 3,200 mts. down to 1,500 mts. To the Cloud Forest. We will witness some amazing vegetation changes as we explore virgin rainforests on this magical tour for riders of any level! Horseback Riding at San Jorge Botanical Reserve : Travel back through the ages as you enjoy the ecological miracle and exceptional sights of the Ecuadorian countryside. Ride Mustang horses with traditional saddles up to Guagua Pichincha. Visit the Andes potato and cattle farms and ride up to the Paramo (4700 ms o.s.l). San Jorge invites its guests to discover this unique part of Ecuador on a Horseback Riding Eco-Adventure to the high barren plains at San Jorge Botanical Reserve. Experience the ancient wonder of the Andes Mountains riding The Last Incan Emperor's Trails, following in the footsteps of the ancient Incas along a pre-Inca road (1500BC). Includes a picnic lunch overlooking the Andes Mountains. 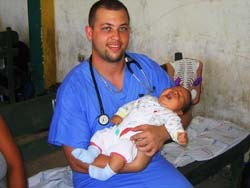 San Jorge offers medical mission programs to the poorer communities of Ecuador, including the remote jungle areas; with complete mission coordination including transportation, lodging, meals, obtaining approvals, acting as liason between the villages in need of medical treatments and the student - doctor groups arriving with supplies to perform treatments. Contact us for further information. Galapagos Islands Cruise for 4 or 7 night sailings, including airfare from Quito. Select from Superior Tourist and First Class 16 passenger yachts. For prices Send us your travel dates – month/year and how many students and tour leaders are traveling in your group. STUDENT EDUCATIONAL ITINERARIES: San Jorge’s packages are all inclusive, including airport transfers, lodging, meals, bilingual guides, tours, private transportation, reserve entrance fees, and tax. Day Three - Paint a Schoolhouse Project (local school near Milpe). Picnic lunch with Ecuadorian students at the school. Optional: USA students may bring school supplies (used or new) to donate to the school.Late afternoon swimming at San Claudio Waterfalls at San Jorge de Milpe Reserve. Day Three - Horseback Riding Eco-Adventure to the high barren plains at San Jorge Botanical Reserve. Experience a slice of 17th Century life! Ride Mustang Horses with traditional saddles up to Guagua Pichincha. Visit the Andes potato and cattle farms. Great sightseeing! 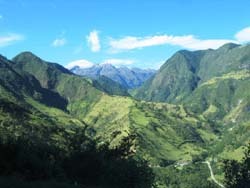 We will go around a pre-Inca road (1500 BC) and ride up to (4700 ms osl) to the Highland Rainforest. 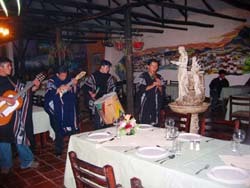 San Jorge invites its guests to discover this unique part of Ecuadorian life. 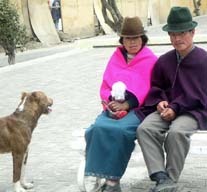 #1 Otavalo Indian Market & Surroundings Visit the world famous Otavalo Indian Market. You will have the opportunity to shop for world famous handmade wool and alpaca products. Also, visit San Pablo Lake, Cotacashi (leather village), and Cuicocha (sacred Indian lagoon), OR San Antonia de Ibarra wood carving village. Lunch at typical Ecuadorian restaurant in Otavalo. 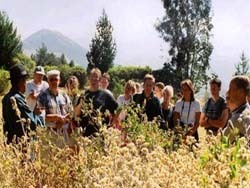 #2 Papallacta Cultural & Botanizing Tour (High Barren Plains) Journey through the High Andes Barren Plains (4000 mts. o.s.l). Drive the same route as Francisco De Orellana walked when he discovered the Amazon River. 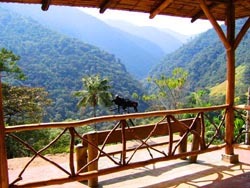 Visit Tumbaco, Cumbaya and Pifo Valley. 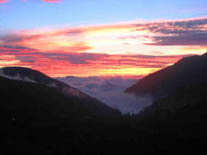 We will climb up the Central Andes chain until we reach Papallacta Lake where we will stop at the thermal hot springs. During the trip, your guide will give you a botanical and ecological explanation of the Coca Cayambe Reserve, which is considered a Condors area. Learn about the flora and fauna in the higher area, such as: Paja de paramo, paramo daisy, chuquirigua, guishuar, pillow grass; including numerous orchids. In the lower area of Papallacta, we will find similar similar plants at San Jorge Botanical Reserve such as: pumamamqui, sacha capuli, chilc, verbena, arrocillo, shanshi, taxo, espino chinan, Andean rubber and more. #3 Cotopaxi Volcano Sightseeing & Historial Tour. (High Barren Plains) Cotopaxi National Park is Ecuador’s oldest protected area, harboring the world’s highest active volcano Cotopaxi, which stands 5,887 mts high. Drive through the Volcanoes Avenue crossing all the southern area of Pichincha Province (on a clear day, great views). This tour will be a mix of volcanology, geography, anthropology, information on local animals/ farming/cattle and history of traditional living in Ecuador. Learn about the local plants, such as: Pinus, radiate, pinus radiate, pinus patula, cipres, polilepis or pantza. Take in distant views of Cotopaxi Volcano and learn about its surroundings; stop at Indian food market. CONTACT US FOR PRICING ~ let us know how many people will be traveling, approximately what month/year, and which itinerary you are interested in. You may mix and match the above itineraries to create your own customized itinerary. Did you know that Ecuador has: 1700 species of birds- 20% of the world's total, more than 40 species of parrots, 115 species of hummingbirds, 4500 species of butterflies, 10% of the world's total population of vascular plants (25,000 total), 11% of the world's total number of orchids and 60 volcanoes (45 mainland/ 15 located in the Galapagos Islands) of which 17 are still active, including Cotopaxi; the world's highest active volcano at an elevation of 19,283 feet o.s.l. Ecuador is also the largest producer of bananas and the third largest producer of shrimp in the world! San Jorge is dedicated to restoring and preserving the wild & natural habitat of Ecuador, by increasing awareness of environmental conservation issues through ongoing education and hands-on projects. 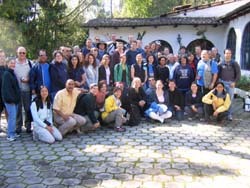 Working in cooperation with school groups and volunteers, San Jorge provides opportunities for Scientific & Cultural studies, educating students and tourists alike. San Jorge's Botanical Reserves consists of over 500 hectares of untouched, protected land, preserving the habitat of the many indigenous plants, animals and over 1,000 species of birds. 60 varieties of Hummingbirds, and over 300 varieties of orchids, all native to seven bio-diverse eco-systems throughout Ecuador. We are also continuously working to preserve and cultivate many plants and botanicals including over 250 medicinal varieties, many of which contain ingredients vital to the world's pharmaceutical industry. Over 3000 new trees have been planted in the two past years, in an ongoing effort to replenish Ecuador's San Jorge's natural reserves. By employing and training local farm workers, we are assisting and supporting the local residents, while also teaching them the many benefits of practicing healthy eco-tourism and conservation. We have even established a clothing drive for the children and families in the vicinity of San Jorge. Eco-Tourism has become the most effective way to promote rainforest conservation and awareness of environmental issues, and the conservation skills learned at San Jorge can and will be passed on from generation to generation. It is very important to us at San Jorge to give back to the community, making our future leaders more responsible and sensible regarding our environment, health, and lives. Each year we continuously strive to give back to our native country, with our major efforts concentrated in preserving the land by protecting it, replanting areas that have been destroyed, and reinvesting into the future of Ecuador. By providing bird watching tours; and hiking, mountain biking, and horseback riding expeditions at our reserves and surrounding areas, we hope to raise global consciousness of the need for stronger conservation efforts in the Andes and Amazon regions. Read commentaries from student groups.